Houston Person is one of my favorite tenor sax players. It bums me out that I can't make his concert tommorrow due to a scheduling conflict. 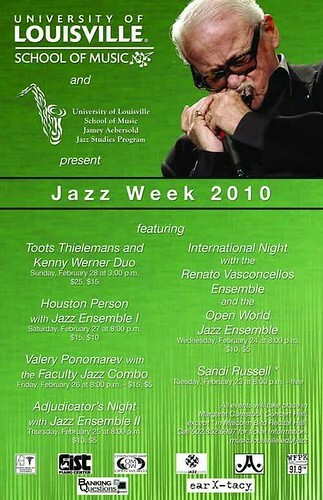 The good news for me is that I should be able to make the Toots Thielemans concert on Sunday. Toots is an incredible musician and considered by many to be the finest hamonica player in the world.